Bienvenidos was chartered in 1961 as the Woman’s Division of the Chamber of Commerce; it was renamed Bienvenidos in 1995. Since that time Bienvenidos has included and encouraged men to become members, and it is now known as the Volunteer Division of the Chamber of Commerce. The primary function of Bienvenidos is to serve the thousands of visitors from all over the world who come to Santa Fe. 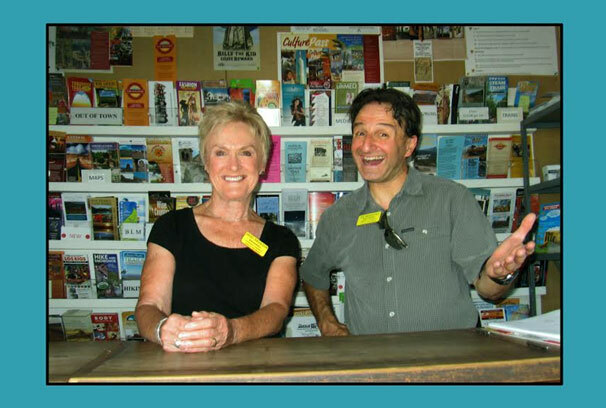 From early May through the second week in October, our members operate the Plaza Tourist Information Booth. Bienvenidos functions with generous support from the Chamber of Commerce, local banks and businesses. Monthly luncheon meetings, with speakers, are held from February through December, excluding June and July. The speakers, from various businesses and organizations in Santa Fe, provide valuable information, which our volunteers use while working in the Information Booth.